A super sports tyre with ultra high-speed capabilities (over 300 km/h) for supercars. 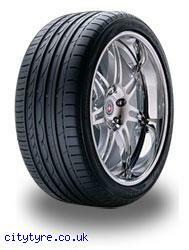 Flagship of the ADVAN series tyres. ADVAN Sport offers balance at high level, giving not only sporty performance , but also excellent characteristics on wet pavement, a good ride, low noise, and so on. Ideal for performance cars, from high-powered saloons to tuner cars.